Do you want to be the best mom ever? Ok, best might be a stretch. Maybe you would be content to be an extraordinary mom and not claim the superlative of best. Perhaps you just want to feel like you are just good enough for this task. But you don’t have to settle. Here’s a secret: You already are the best mom ever. Is that a hard statement to accept? It certainly has been for me! Back in 2007, I was anxiously struggling with doubt about being a good mom. I wasn’t seeking to be best, I only wanted to be good enough. And I did not feel that I was. In those days, I had a 4 year old boy who was constantly on the go, a 2 year old girl with pigtails, and another baby on the way. Life was becoming overwhelming. Managing two children had seemed manageable. But times were changing. That was just the beginning of a season of overwhelm for me. The cleanliness of our house rapidly went downhill. My structured routine for our days and weeks seemingly vanished. My temper, that I never knew existed, began to emerge. My failures began to pile up. 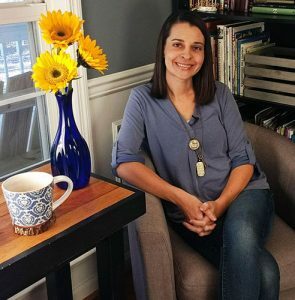 Especially after baby #3 was born, enjoying life as a young mom felt impossible. Being the best was not my goal. I simply wanted to be good enough. And I felt I was failing. I remember standing at the sink one day, washing dishes, looking through the window at my children playing in the backyard. Tears streamed down my cheeks as I realized this had been my dream for years: Being a mom of little children. I was living my dream but did not enjoy it. Rather, I felt like I was constantly failing. I began to wonder if someone else would be better suited to be the mom in my house. Perhaps I wasn’t really cut out to be a good mom. I had finally reached the point of doing something, being someone, that was too much for me. 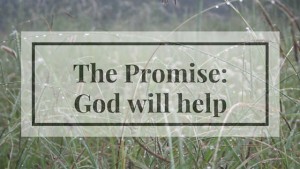 Looking back, I realize I was exactly where God wanted me: Aware of my need to depend on Him. So back in 2007, God gave me a verse. A lifeline. These words have rescued me from countless days of the swirling madness in my mind that threatens to overtake me. This is a message God brings back to me over and over again. Because I need it over and over. The basic gist of the verse: God says I am the best mom ever. Alright, yes, that’s actually 2 verses, but they are my lifeline, over and over again. 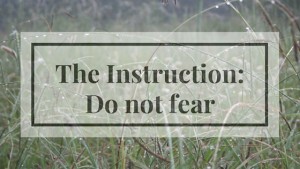 They contain Truth, an Instruction, and a Promise. If you are struggling to believe you are good enough, perhaps this is the lifeline that you need, too. God chose you to be the mom in your family. That makes you the best. You don’t have to earn the title, because it has already been granted to you. When God created the little people around you, He needed someone here on Earth to serve them. 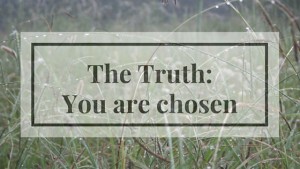 He chose you. Out of the millions of women on this planet, you are the one He chose. You are His servant. This is a statement, not a question, so don’t live like the jury is still out judging whether you are good enough. If God has not rejected you – and He has not – then there is no reason to reject yourself. 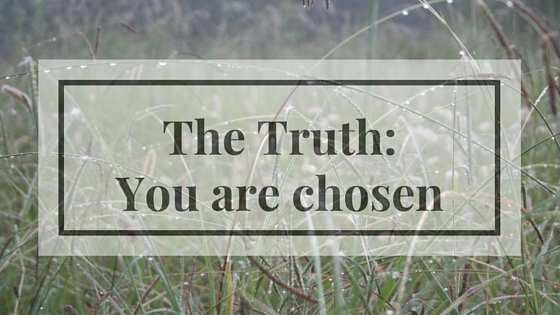 Why are we so prone to not believe the truth that we are chosen? There is an enemy of our souls. Satan is the father of lies, and he does not fight fair. That quiet, persistent, accusing voice in your head? That’s not Jesus! Silence that lie with the truth! This simple truth is my lifeline when my reality lies to me, and it can be yours too. Stand confidently on this truth. Meditate on it. Repeat it. Then repeat it again. Say it aloud. Hang onto that thought for a tough day. 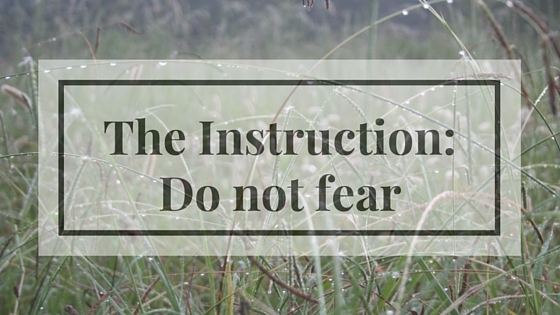 Have you ever looked around you and felt the fear and anxiety begin to swell in your heart? What if I’m forgetting to teach my children something important? What if they leave home without firm character? What if I lose my temper again? So-and-so is doing _____. Maybe I should too. There will always be gaps in what we teach our children: academic and character. There will always be someone out there who appears to be better at this mom thing. There will always be mistakes in your life. But when you look around, you miss the point. The essential fact with all your parenting endeavors is that God is with you. Just like Peter walking on water, keep your eyes on Jesus. If you look around, yes, you will sink. Just remember He is right there waiting to lift you. 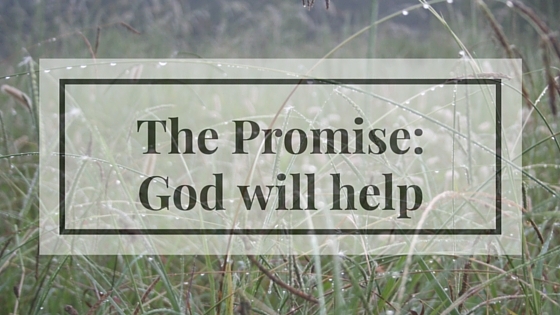 I am convinced that God’s greatest promise is the promise of His presence. Right here. Right now. Repeat after me: God is with me. When you start to fear? Repeat again: God is with me. When anxiety creeps in? Repeat again: God is with me. When you feel alone? Repeat again: God is with me. The same power that raised Jesus from the dead lives in you. Yes, you can do this! He helps you. God did not give you an assignment to raise these children and say He’ll be back later to see if you’re succeeding. He does not stay with you as a judge watching over your shoulder, waiting to catch you in a mistake. No, He is with you to help. He upholds you with His righteous right hand. In the Bible, the right hand signifies authority, blessing, sovereignty, and strength. That’s a hand I want to come to my rescue! Do you ever feel like you are falling, drowning in a swirling sea of motherhood madness? Look for His right hand. He is waiting to pull you out and set you on solid ground. The God of the universe is on your side! He chose you, stays with you, and helps you. You’re the best mom simply because you are chosen for the task. Keep you eyes open to see that Jesus is with you and desperately wants to help you. Stop trying to be good enough. Your effort is not required. You already are the best mom ever.